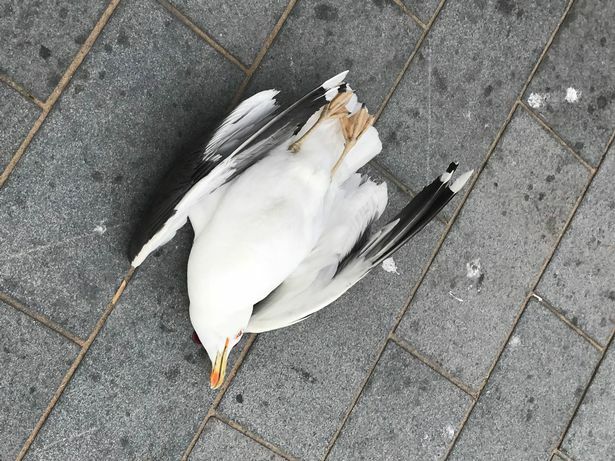 A pensioner killed a seagull by grabbing its legs and smashing it against a wall after it stole one of his chips, it's reported. The horrific case of alleged animal cruelty occurred on Weston-super-Mare's seafront on Tuesday evening - as crying children watched on. Mum-of-three Rachael Beer said she witnessed the disturbing incident, claiming the man became angered when the bird stole a chip from his plate. Horrified at what she witnessed, Rachael took a picture of the bird before posting it online with an explanation of the man's actions. Rachael said: "I saw a seagull squawking and then taking a chip from a man's plate. "Suddenly he then grabbed it by its feet and swung it against the wall. "I heard all the mums say, 'why did you do that in front of my child? ', and he said, 'it's vermin, you should teach your children about vermin'. "I was like, 'oh my god, that man has just tried to kill a seagull'. "I said 'why did you do that?' and he just shrugged his shoulders and walked away." Many children were reportedly left in tears after witnessing the disturbing incident. Despite reportedly being smashed against the wall by the man, Rachael said the bird did not instantly die and had twitching eyes when she walked up to it. It was later put down by a vet. Rachael, who runs Luigi’s Sweet and Rock shop in the town, said: "The seagull wasn't dead at first. We could see its eyes twitching. "Thankfully a passerby came and took it to the vet. Seagulls are a problem but to kill a seagull like that is just wrong." Despite spending a lot of time on the seafront, Rachael said it was the worst gull-related incident she had ever seen. An RSPCA spokesperson said: "This is a shocking incident and a completely unacceptable way to treat an animal, it must have been very upsetting for witnesses to the attack. "We are grateful to the members of the public who were able to get this gull to a vet so it did not have to suffer further. Anyone with information about this attack is urged to contact the RSPCA." 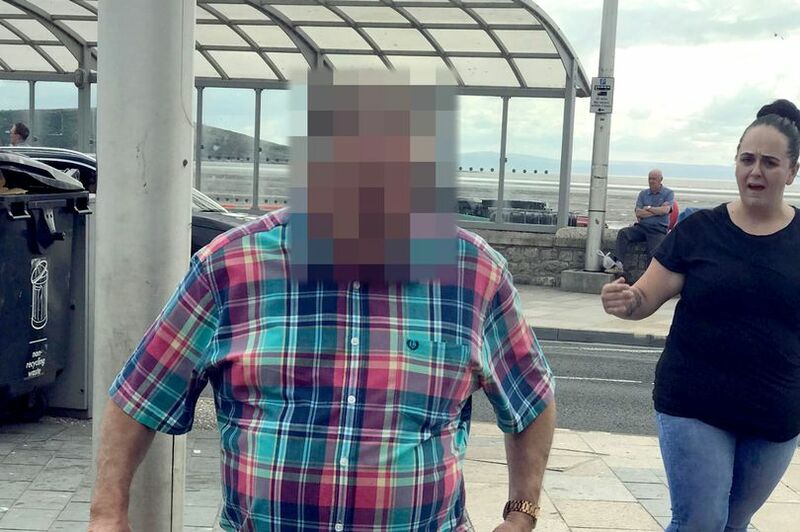 A spokesman for Avon and Somerset Constabulary said: "A man was reported as having harmed a seagull in Regent Street, Weston-super-Mare, at about 5.50pm on Tuesday 17 July. "He was described as being in his 60s, white, about 5ft 8ins tall and with greying hair. He was wearing pink shorts, a blue and pink checked shirt and brown sandals. "Anyone with information about the incident can contact the RSPCA or get in touch with police. "It is an offence to kill or harm a seagull under the Wildlife and Countryside Act 1981."